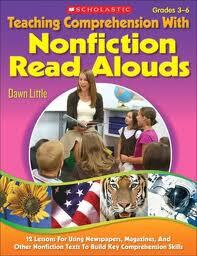 I’m linking to Alyson Beecher’s Nonfiction Picture Book Wednesday at Kid Lit Frenzy today. Written in the fiery voice of Sojourner Truth herself, this is the story of her early life in slavery and her transformation from Isabella Baumfree to Sojourner Truth. “I think with a name like Sojourner Truth a body has some respect at last.” A pioneer in her time, Sojourner Truth, an ex-slave spoke for black freedom and women’s rights. Check out Picture This! Teaching with Picture Books for my ideas on how to use this book in the classroom. Check out Picture This! Teaching with Picture Books for my ideas on how to use this in the classroom.